When you need to get the job done, you call in a sturdy Super Duty. This model has a work-ready flat deck and a 6.2-litre V8 with a six-speed automatic transmission and locking rear differential. That's not all! You'll also discover all-terrain tires, a full size spare, back-up camera, remote engine start and keyless entry, heated mirrors, auto-off headlights, fog lamps, lumbar support in the front seats, trailer hitch receiver, running boards, front tow hooks and much more! 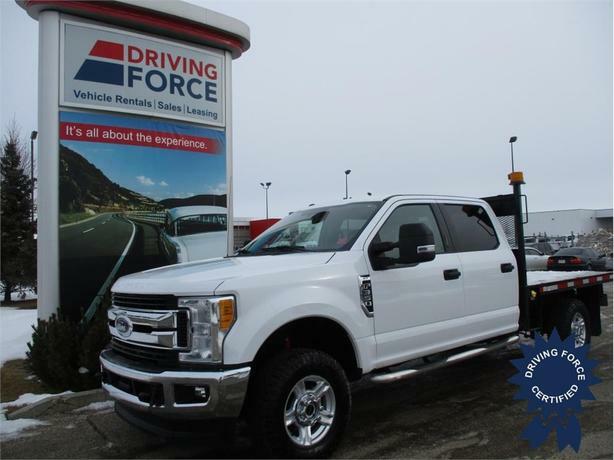 Call or visit us to arrange your test drive today - you won't want to miss this DRIVING FORCE Certified truck.